"Then Moses set up the courtyard around the tabernacle and altar and put up the curtain at the entrance to the courtyard. And so Moses finished the work. and the glory of the Lord filled the tabernacle. the glory of the Lord filled the tabernacle." When the Tabernacle and all the crafted furnishings were completed and set up, and when the priesthood was fittingly clothed and consecrated, and when the covenant and the law of the covenant was duly established, then, as the Lord had promised, he came to dwell with them in their camp. The Lord’s presence was not only in heaven or on the mountain, but the Lord’s presence had come to dwell in the camp of Israel. They were indeed, the most favored of all the nations. We will see this repeated in Solomon’s day when the Lord moves into the permanent structure of the Temple on Mount Moriah in Second Chronicles 7. Then, when Israel and the kings of Judah have completely forsaken the Lord the Scripture records the Lord leaving the Temple in Ezekiel 10. 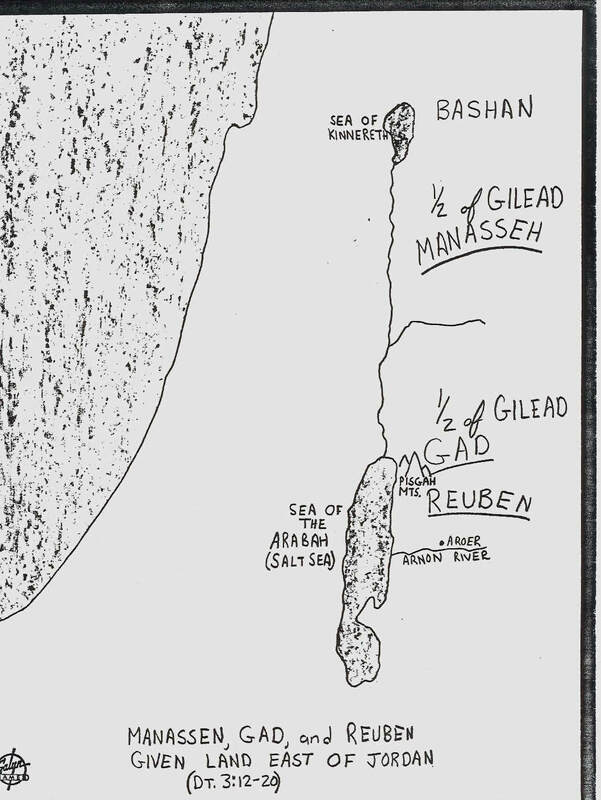 "In the same way the robbers who were crucified with him also heaped insults on him." "Jesus, remember me when you come into yoru kingdom." Psalmos (Gr) – Psalm Eng) - psalmos is Greek word that means“a sacred, inspired poem of praise.” The Greek word psalmoi identified the playing of the strings on a musical instrument. "And him, Herod, and Archelaus and Philip, Annas, and Caiphas, with all the people, delivered to me, making a great uproar against me that I should try Him (Christ). I, therefore, ordered Him to be crucified, having first scourged Him, and having found against Him no cause of evil accusations or deeds. At the time he was crucified, there was darkness over all the world, the sun being darkened at midday, and the stars appearing, but in them there appeared no luster; and the moon, as if turned into blood, failed in her light." do not forget my words or swerve from them." 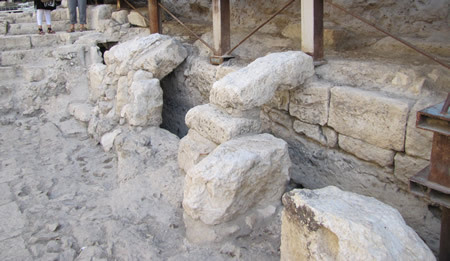 The covered water channel that connects Hezekiah's Tunnel (far to the left) with the Pool of Siloam (location of this photo). 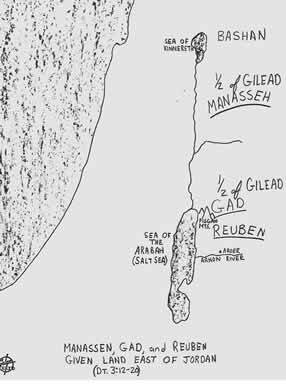 (click on image for larger size) The land given to the tribes of Manasseh, Gad and Reuben on the east side of the Jordan in Deut. 3:12-20.